Archbishop Aquila said the archdiocesan Catholic Charities agency was prepared to help storm victims. Heavy rains caused severe traffic delays during the morning rush hour, with the cities of Boulder, Aurora and Thornton declaring accident alerts. 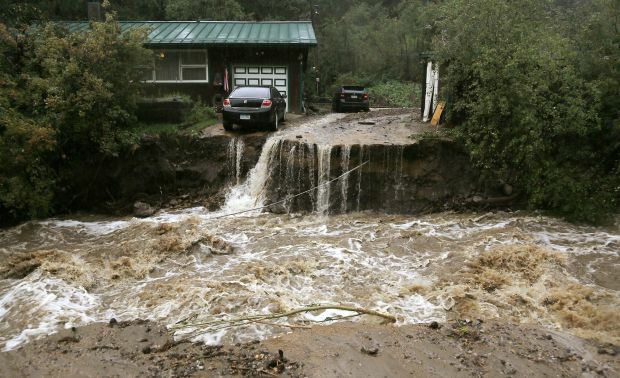 The widespread flooding destroyed many homes and stalled cars throughout the Colorado’s northern counties, including Boulder and Denver counties. Public officials closed schools, including the University of Colorado in Boulder, because of the flooding, and ordered evacuations from a number of communities. Rushing water made roads throughout the region impassable. Law enforcement officials confirmed at least three people died in the flood waters. More rain — from 6 to 10 inches– was expected to fall through the weekend, according to a forecast by the National Weather Service. Residents of canyons in the foothills west of Denver were being warned about the risk of more flash floods.